No matter where you are in the great Northeast, there are bound to be excellent walking trails. 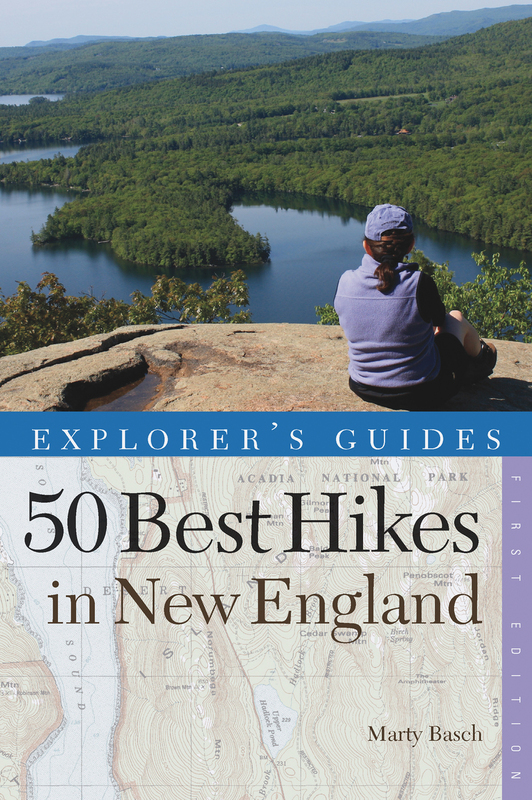 This collection of 50 of New England’s can’t-miss hikes takes you from the relatively flat lands and easy rambles of Rhode Island to prime hiking real estate in Connecticut; from challenging terrain in the Pioneer Valley and Berkshires of Massachusetts to breathtaking seaside treks in Maine’s Acadia National Park. Find great hikes to the heights of New Hampshire's White Mountains and over to the verdant Green Mountains of Vermont—all the best hikes in New England are no more than a few hours from each other, so you'll want to keep this guide close at hand. Marty Basch is the author of seven books. He writes a long-running syndicated outdoor adventure column and contributes to several newspapers, magazines, and websites.